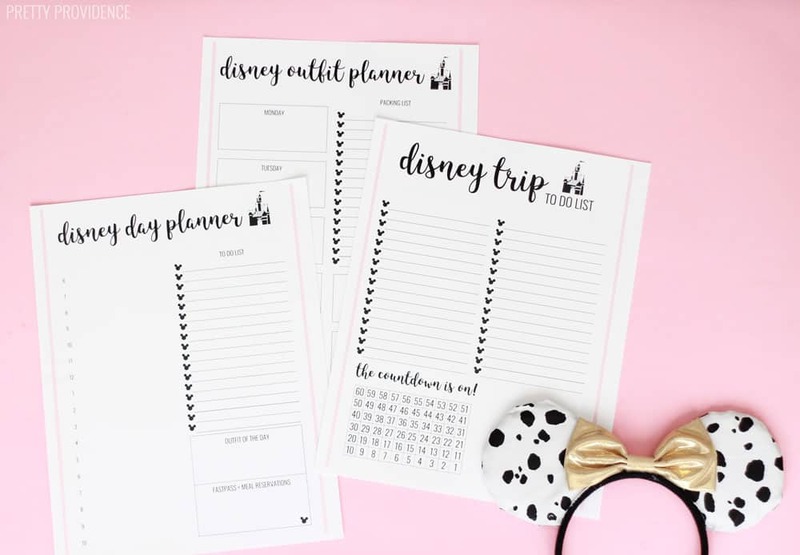 These free Disney trip planner sheets are so helpful when you’re getting ready for a trip to Disney World or Disneyland! Getting ready for my first trip to Walt Disney World with Disney SMMC was really exciting. I mean, isn’t planning part of the fun of taking a vacation?! 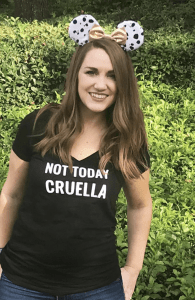 Now, I think that as a first-timer it definitely can seem overwhelming to plan a Disney trip – whether it’s at Disney World or Disneyland – simply because there are so many options and things to do. But I love doing travel research, no matter where I’m going. You can call me a nerd, I don’t care! I love to read about the best places to eat, things to do, and decide what I’m going to wear ahead of time. I make a lot of LISTS, because lists are the best. 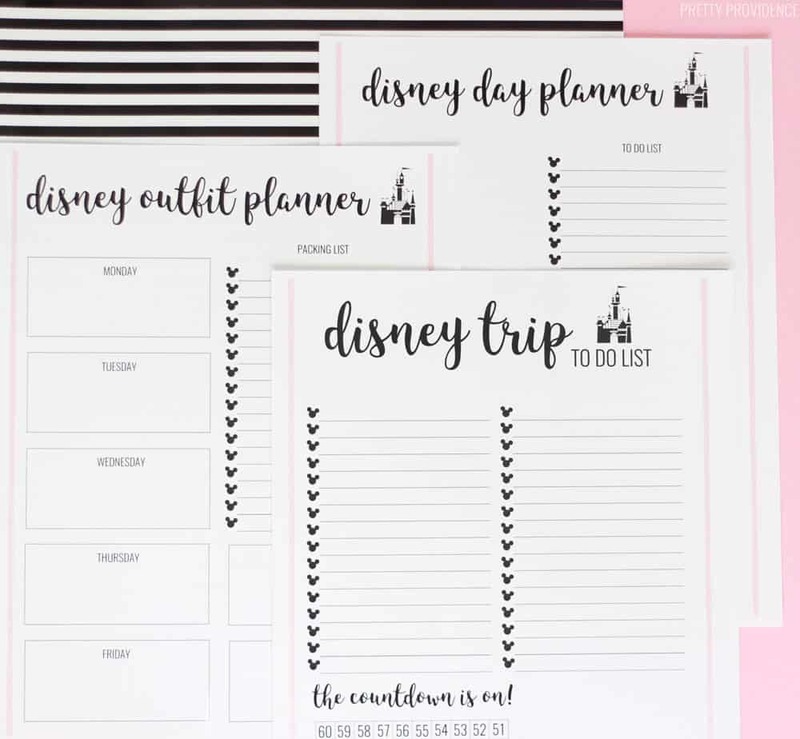 Since I was going all out with my outfits and wanted to make sure I made some good restaurant reservations ahead of time – I went looking for some fun Disney planner sheets to keep it all straight. I couldn’t find exactly what I was looking for, so I just made my own. I also made a to-do list sheet with a little countdown box, because who doesn’t love a countdown!? I made a list of the foods I wanted to try and attractions that were most important to us here – which helped a lot when it came to actually making Fastpass+ reservations! 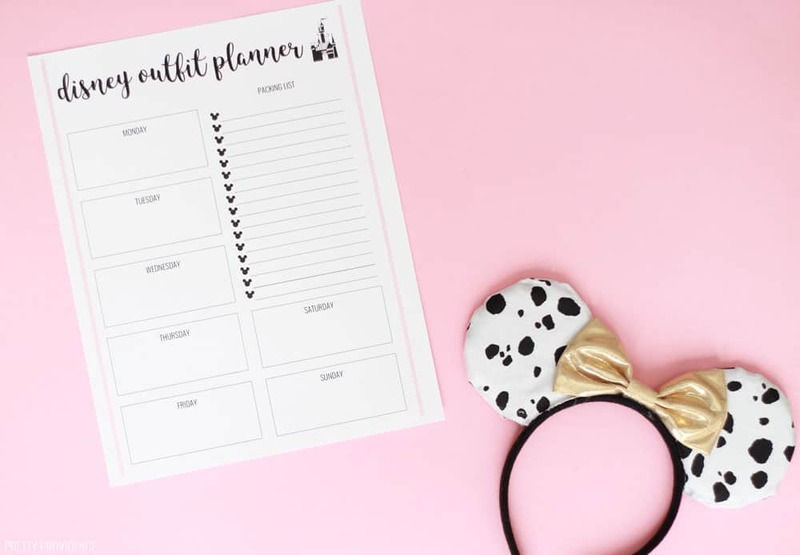 Last but certainly not least, the Disney Outfit Planner. 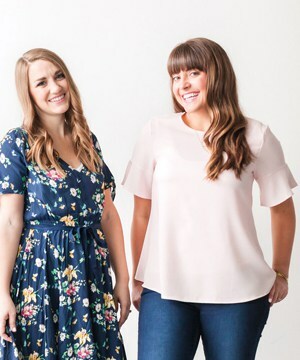 I really think this might be the most important of them all – especially if you are trying to coordinate outfits for multiple family members! Y’all, I was only planning for myself (i.e. Not Today Cruella) and I felt like it was pressure. A lot of you are probably trying to coordinate yourselves, multiple children and partners for each day at WDW. That is no small task! This one just has simple boxes and a packing list on the side. By the way – I know we all want to look cute at Disney, but choose comfort first. Sensible shoes are a must! We walked between 20,000 and 25,000 steps each day when we were at the parks, even after taking a siesta each afternoon. It’s a marathon! 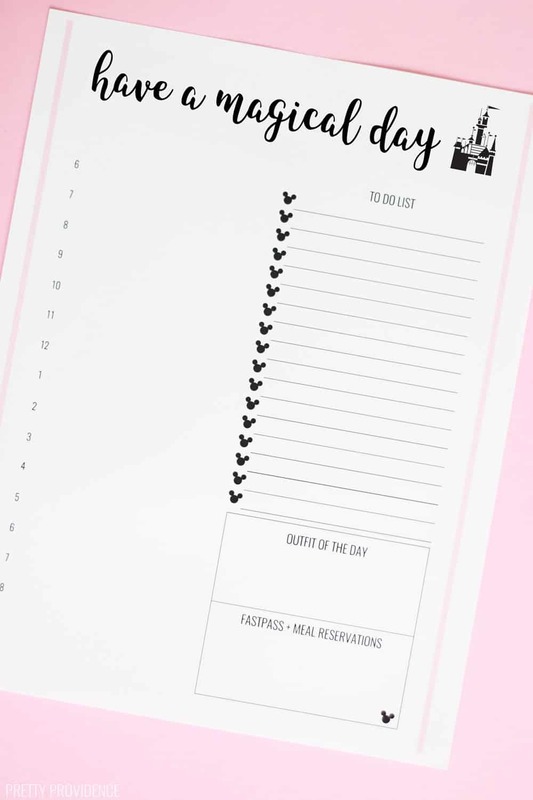 Below you can click on any of the four planner sheets to print them. I hope these help you get ready for your magical trip as much as they helped me! 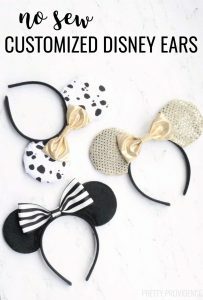 If you are at home craving Disney Magic try making these easy and adorable Minnie Mouse Cupcakes!